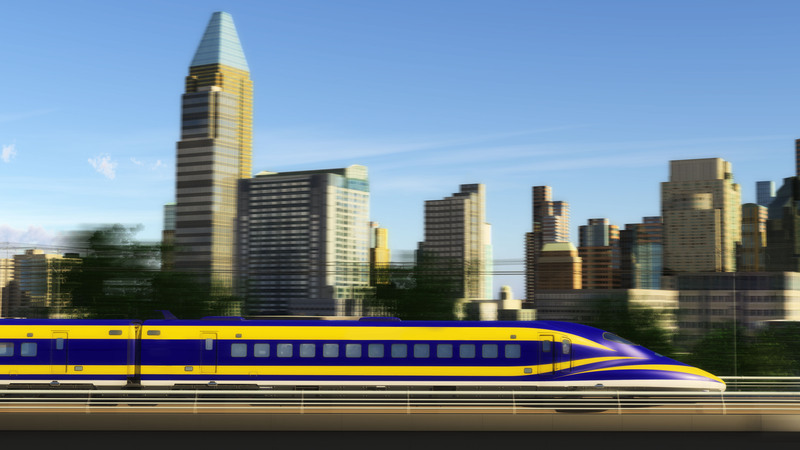 SACRAMENTO, Calif. (CN) – The California High-Speed Rail Authority punted one of the most important decisions during its monthly meeting Thursday, stoking concerns the entity is not moving quickly enough on the project. Authority staffers had advised approving a $30 million contract with DB Engineering & Consulting USA to operate the first segment of the rail line from Silicon Valley to Bakersfield. While the authority was set to do so, a last-minute appeal from the Spanish-based high-speed rail operator Renfe caused the authority board to press pause on the entire process. “I think we need to let this process play out a little in the interest of fairness,” authority board chairman Dan Richard said during Thursday’s meeting. DB Engineering & Consulting is the U.S.-based arm of the German rail giant Deutsche Bahn and was widely seen as a quality pick to bring experience and technical acumen to the authority’s efforts to make the high-speed rail service safe, competent and profitable. However, representatives from Renfe arrived at the meeting and said they scored the highest on the technical responses to the Request for Proposal and provided one of the lowest monetary bids, but scored lower on oral interviews, which they claim is subjective. Richard said the authority wanted to give ample time to consider the objections raised by Renfe, but some meeting attendees expressed frustration in yet another delay in the complicated process. Work on the Central Valley segment of the track was originally scheduled to be completed this year, but several delays, lawsuits and other snags have pushed the completion date to 2025. Initially, that segment of the track was predicted to cost around $6.4 billion, or about 10 percent of the entire $64 billion project, but recent cost estimates disclosed in the authority’s quarterly business report indicate that cost could rise. The report estimates the final Central Valley segment tally closer to $8 billion. A report from the Federal Railroad Administration said the segment could come in at as much as $10 billion. But the high-speed rail authority said that estimate was taken from a leaked document that was part of a worst-case risk assessment and did not accurately reflect current budget estimates. The authority also said construction on the 32-mile segment from Fresno to Madera County is underway and proceeding rapidly. “There are now 12 active construction sites within (the Fresno to Madera area),” the authority said in a September statement. The agency has also been plagued by a leadership exodus, as former CEO Jeff Morales left in June and has yet to be replaced. Morales’ deputy Dennis Trujillo and the risk manager Jon Tapping have also left the agency in recent months. Whichever firm is chosen will help design stations, establish a ridership model, set price points for tickets and subcontract ticket collectors and mobile ticketing platforms. The authority is set to revisit the contract issue in November.